Top quality barristers need to have great organisation behind them. 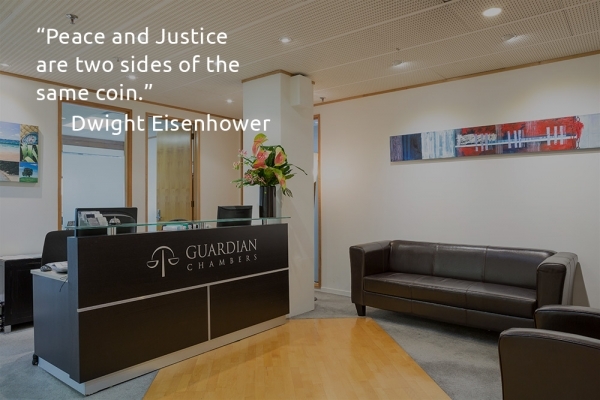 At Guardian Chambers we have an experienced and dedicated support team who work closely with our barristers to ensure that we continue to offer a first rate service to our clients. Our practice manager, Kathryn and her support team understand our clients' needs and are prepared to go the extra mile to ensure our service remains one of the best available. Kathryn has been with Guardian Chambers since its inception in 2007 and has a comprehensive understanding of the practices of our individual barristers and of the courts in which we frequent. Our support team can advise clients on the choice of the most suitable barrister for their individual case and will help with all aspects of efficient case management. The support staff at Guardian Chambers are often the first point of contact if clients wish to speak with their barrister and are often able to deal with a client’s enquiry themselves. However, if the enquiry requires an individual barrister’s attention they will be contacted as soon as possible.